Hailing from the English countryside, Chef Kieron Hales brings extensive culinary experience to Zingerman’s Cornman Farms. From cooking for the Royal family to bringing his talents stateside to cook for three U.S. Presidents, Chef Hales is a true asset to the Zingerman’s team. His passion for culinary excellence coupled with his innate sense for business inspired Kieron to open Cornman Farms and transform it into the luxury event venue it is today. The 42-acre property opened its doors in May 2014 and specializes in weddings, corporate and culinary events. 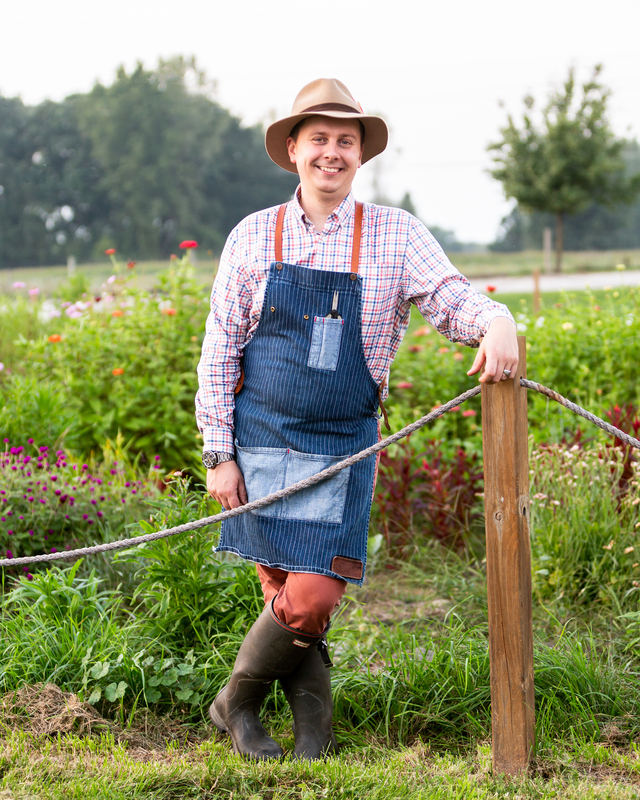 In addition to wearing his chef’s hat, Kieron wears many other hats to bring his vision for the farm to life. Overseeing both the operational aspects of the business as well as the creative direction, he takes great pride in curating the production gardens, creating seasonally driven menus, teaching cooking classes, guiding farm tours, providing great service, mentoring his team and sharing his love and knowledge of food with everyone he encounters. Kieron’s zest for life, specifically food, is contagious. His attention to detail and quality is unparalleled and it is evident when given the opportunity to enjoy one of his meals. Kieron brings decades of experience and a pedigree that includes some of the world’s best restaurants. He also offers a unique food philosophy. Whether he’s executing hors d’oeuvres for a cocktail reception or a multi-course formal dinner, Kieron believes that food should be a visceral experience. With every dish, he aims to create flavors that evoke emotion and feelings of home. He also believes that food is more meaningful when you know the people who grow it. Kieron works with a community of local farmers with whom he has built strong, personal relationships of mutual trust. Fruits and vegetables fascinate him and he takes pride in bringing them to the center of the plate. Kieron works with every guest to create special menus tailored to each occasion. Growing up in the small English farming village of Stoke Gabriel in Devon, Kieron studied the bassoon as a child and joined the National Children’s Orchestra before discovering his love for cooking. It wasn’t until Kieron took a home economics course that his culinary passion was piqued. Thanks to an observant teacher, Mrs. Williams, who encouraged his excitement for cooking, Kieron applied to the Specialized Chefs School in Bournemouth at the age of 13. Upon graduating, Kieron joined the Royal Academy of Culinary Arts at age 17 and embarked on a career that has taken him around the globe. Starting with an apprenticeship under Stephan Goodlad at Coq D’Argent in London, Kieron proceeded to work in 1- and 2-star Michelin rated restaurants in Ireland, France, Spain, Germany, and Austria, as well as the Executive Dining Room at Goldman Sachs. Throughout his career, he has also been fortunate to cook for the Queen of England, President George H. Bush, President George W. Bush, and President Bill Clinton. In 2008, he emigrated to the U.S. to work for Zingerman’s after a chance meeting with Ari Weinzweig in England sparked a desire to work with the company. He began as sous chef at Zingerman’s Roadhouse under the tutelage of James Beard Award-winning Executive Chef Alex Young, quickly rising to become head chef. He held this position until July of 2013 when he embarked on his journey to establish Cornman Farms as the premiere luxury event venue it has become. Kieron has always had a burning desire to understand the history of food. Specifically, he began to develop a passion for traditional foodways such as canning, jarring, and farming practices, things he knew he wanted to explore further throughout his career. In 2010 Kieron attended ZingTrain’s “Creating a Vision of Greatness” seminar and penned his first vision for Cornman Farms. After numerous drafts (probably 25 or 30) and sharing his vision with many people, Kieron began his transition to the farm. In May of 2014, Cornman Farms opened its doors as the 9th Zingerman’s business, with Kieron Hales as managing partner. Kieron resides in Chelsea, Michigan with his wife Joanie and their two children. Tabitha Mason brings her diverse experience in customer service and business management to her new role as Managing Partner at Zingerman’s Cornman Farms. 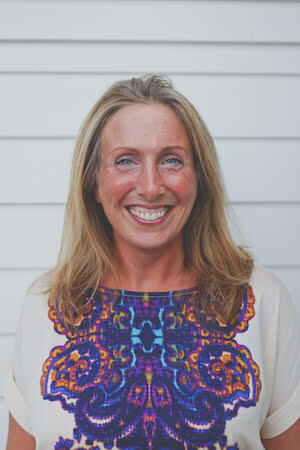 After serving as the business’s Venue Manager for several years, her new role allows her to focus on propelling the business forward and continuing to position the farm as a leading destination for unique events and culinary experiences, all while delivering the highest standards in customer service. Prior to her role at Cornman Farms, Tabitha joined the Zingerman’s organization in 2010 as General Manager of Zingerman’s Roadhouse, one of Zingerman’s top performing businesses. Under her management, the business continued to flourish and excel in delivering top quality food and customer service, her true passion. As GM, Tabitha, and a team of more than 80 staff, was responsible for delivering “The Zingerman’s Experience” to the thousands of guests who dine at the Roadhouse each year. In 2015, Tabitha joined Zingerman’s Cornman Farms as its Venue Manager, a perfect match for her vast service experience. Inspired by the farm’s vision—from growing great food to taking great care of their people to delivering unique experiences with top level service—she was excited for an opportunity to combine her passion for hospitality with her service background. Her understanding of the importance of customer service in the events business allowed her to strengthen her team’s commitment to hospitality and integrate it into the culture from day one. In her role, she managed day-to-day operations, lead the event coordination, groundskeeping/maintenance and beverage coordination teams and oversaw the recruiting, training, scheduling and supervision of all staff. She continues to build and maintain long lasting relationships with everyone from clients to guests and vendors. Inspired by the immense potential she saw in the business, Tabitha embarked on her path to partnership and joined Kieron Hales as Managing Partner in 2017. She is one of eight female partners within the Zingerman’s organization and is especially excited to continue expanding her role within the business and ensuring the farm reaches its ever-growing potential. In addition to her position as managing partner, Tabitha has also been a trainer for ZingTrain since 2012. In this role, she shares the renowned Zingerman’s approach to giving great service with businesses throughout the country. In her spare time, Tabitha enjoys spending time with her family as well as volunteering with various nonprofit organizations in the community. She currently is involved with Junior Achievement, a program whose goal is to instill work readiness, entrepreneurship and financial literacy in our country’s children. She also works with Give Merit, an organization working to enhance and extend educational opportunities to underserved youth.